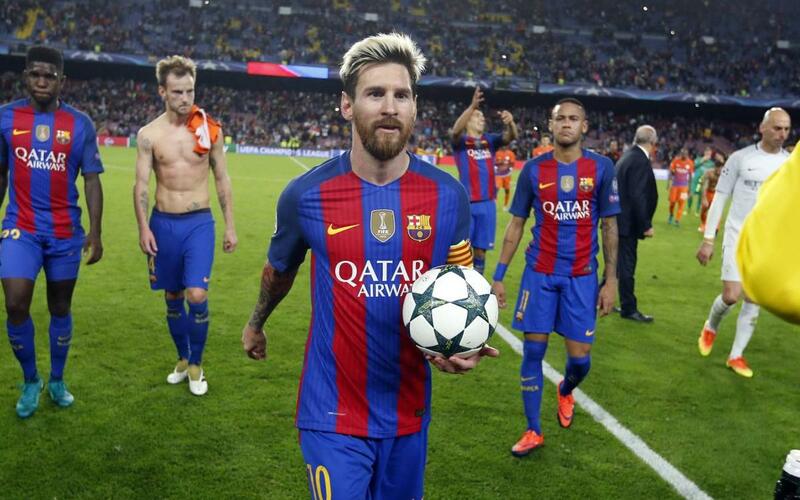 Messi’s seventh Champions League hat trick. Manchester City are the latest in a series of victims that already included Arsenal, Viktoria Plsen, Bayer Leverkusen, Ajax, Apoel and Celtic. And his second in a row. It also means he becomes only the second person after Luiz Adriano to score consecutive Champions League hat-tricks, bearing in mind that he missed the Borussia Mönchengladbach game through injury. Five points clear. With nine points from three games, there’s no question who’s dominating the group at the halfway stage. Just one more point will be enough to guarantee qualification. All-time top scorer in home fixtures. Yet another Messi record! He’s now scored 50 goals in Champions League football, and in doing so tops Raúl’s record for the highest tally on home turf. First time against two different keepers. Wednesday brought Messi a brand new experience as a pro. He’d already scored past his former colleague Claudio Bravo when the Chilean was sent off, and then also beat his replacement Willy Caballero – twice! Messi’s ninth against Claudio Bravo. After two seasons as a Barça player, the former Real Sociedad stopper was back at the Camp Nou to defend the visiting team’s net. And the Argentinian was back to his old tricks! 13 straight Champions League wins at Camp Nou. Luis Enrique certainly has the measure of European opponents in his home stadium – in fact, he’s still unbeaten at the ground in continental fixtures. Full house against Manchester City. The teams have met in five competitive matches, all in recent years, and no matter what ground they play in, it’s always been the Catalans that have come out tops, scoring 11 goals in the process and conceding just two. Neymar Jr gets 91 in 150. The Brazilian was unable to celebrate a ton and a half of appearances for Barça by scoring from the spot, but promptly made amends by converting the last goal of the night just a minute after his penalty miss. Samuel Umtiti was spectacular at centre back. The Frenchman was on for all 90 minutes and made 63 good passes. Jeremy Mathieu became only the second Barça player to ever get sent off in the Champions League, The only other case was Sergi against Dynamo Kiev in 1997.